Create a base class that will include the properties of some type of data related to the company you work for or a favorite hobby. For example, I work for a healthcare provider, so my base class might be "Medical Facility". Include at least five properties. Be creative with your classes -employee type classes are not acceptable. In addition, include data of a variety of types in your classes. Add a second class (derived class) that inherits from the base class and describes a subgroup of the base class. In my example, a derived class might be "Clinic". Define at least three properties that are specific to this derived class. Design, implement, test, and debug a C# program that asks the user to enter properties for the classes you have defined on a single form. Enhance the user interface by including two groupboxes. In the first groupbox, place the controls for the base class. In the second groupbox, place the controls for the derived class. The entries will include fields for the properties of the base class, as well as the derived class. Add a second form to your project that will display a cumulative list of all the data that the user has entered. A cumulative list means that if the user enters data for 10 clinics (in my example), then 10 clinics will be viewed on the second form. Please note that it is not acceptable to write the data gathered to a database for presentation of the data on the second form. Databases are a topic for week 5, not this week. Also note that it is not acceptable to use text files as a means of transferring data from one form to the other. Text files were used for the last two assignments, so it is time to try some new techniques. The type of application to be developed is a Windows Forms application. As with prior weeks, remember to utilize the concepts described in the weekly reading to complete the project. 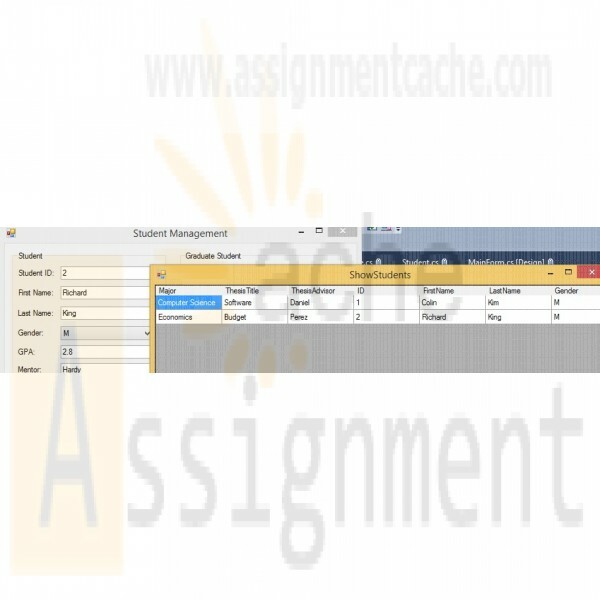 Include identifying information in the form of block comments at the top of each class in the project (programmer name, date, program description). Include adequate comments throughout the program, utilize meaningful names for controls, variables, fields, and forms. Include white space for readability purposes in the code. The focus of the project is on learning the C#.Net syntax. However, ensure the form is simple and easy to understand for the user. 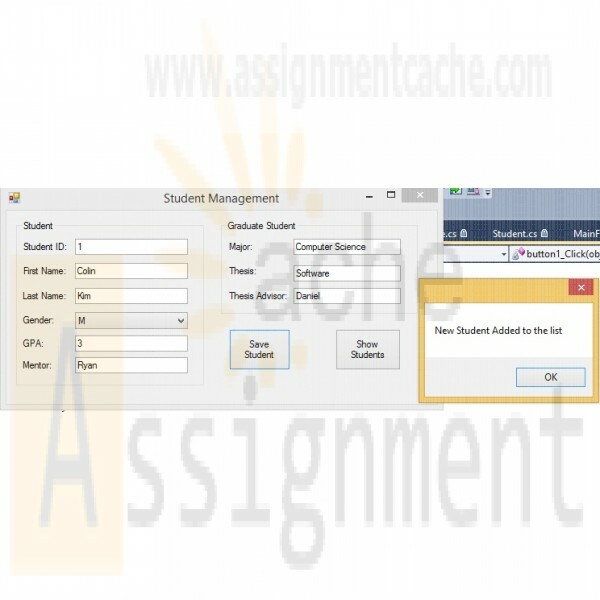 Refer to the Individual Assignment grading form to view grading criteria. Zip the files of the project together and submit the zipped file.